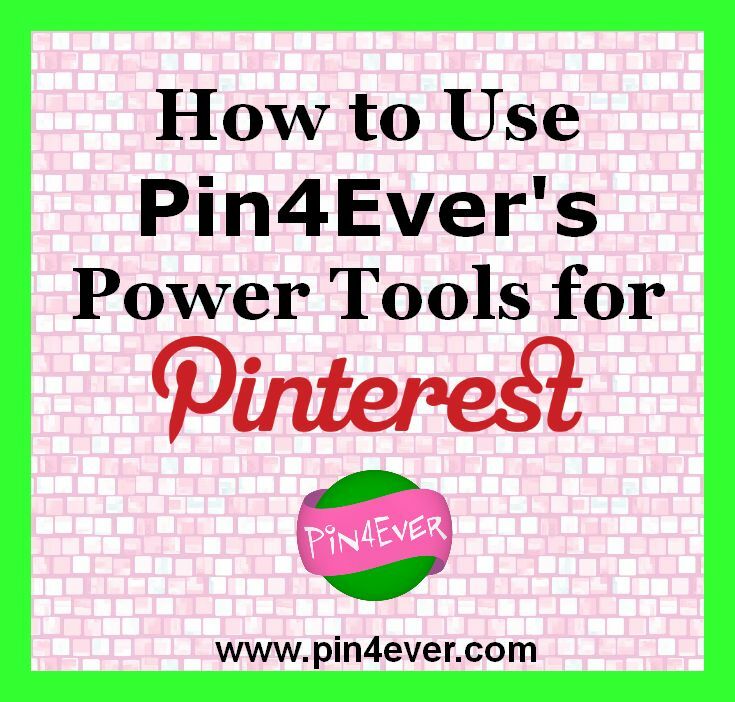 Pin4Ever Pinterest Power Tool Blog | Pin Better With Pin4Ever! Firefox updated to version 57 on November 14th, 2017. Pin4Ever and many other Firefox extensions no longer work in Firefox after this Firefox update. Instructions for each of these options will be given below. Firefox 57 was released on November 14, 2017 and prevented Pin4Ever’s program and tools from working properly in that browser, which we had previously recommended. Many software developers and computer professionals are calling the update Firefox’s “death” or “suicide,” since it prevented thousands of programs which people enjoy and depend upon from functioning, and eliminate the major reason why people have chosen to use the Firefox browser in the past. Pin4Ever is unable to work in the newer Firefox 57 WebExtensions as they are much more limited and can only do what Chrome extensions do. There is no way to rewrite Pin4Ever to work this way and continue to offer the same tools we have now. We are exploring possible long-term solutions, which may include a complete rewrite of the Pin4Ever program. There’s also a possibility that Firefox will receive so many complaints about their planned update that they will change their minds and allow legacy programs like Pin4Ever to continue to run. Meanwhile, using one of the options listed above – the Waterfox browser or the SeaMonkey browser — will allow our customers to continue to use the Pin4Ever tools as usual. The WaterFox installer will allow you to import all existing Firefox profile details including the Pin4Ever add-on. Just select that you want to import from Firefox when you install WaterFox. The SeaMonkey browser can be installed to use the Pin4Ever tools. SeaMonkey can read the data in your existing backup folder, so you keep the same data. 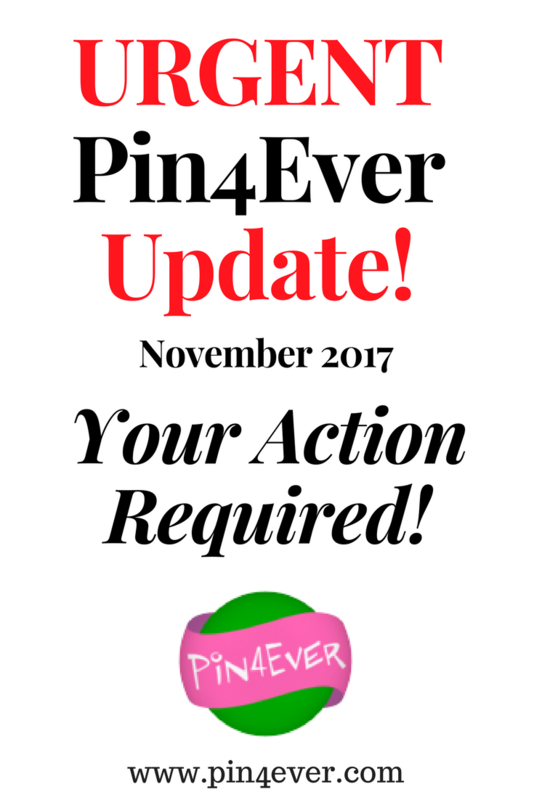 Pin4Ever was originally launched as a downloadable Java program for computers in September of 2012, which allowed customers to save a backup copy of their Pinterest boards and pins to their own computers. We added an Android phone version of the Pin4Ever backup soon after. Over time, based on customer requests and our efforts to anticipate and create the tools a Pinterest pinner most needs, we added the Bulk Editing tools (Move, Copy, Delete, and Rearrange multiple pins in one step), Pin Anything, Bulk Upload of images, Power Follow, and several other tools. To allow us to create these tools, the Pin4Ever program was rewritten as a Firefox browser extension or add-on, which was compatible with PCs, Macs, and Linux computers. We appreciate your support of Pin4Ever these past five years, and we look forward to continuing to offer helpful Pinterest tools for you to use in the future. Let’s face it, pinning can sometimes be a real drag… especially when it comes to the laborious task of pinning each of your online store products to try and promote them and help bring in a little extra cash. Wouldn’t it be nice if you could promote your entire eBay and/or Etsy stores on Pinterest with just a few clicks? Well that time has come! With Pin4Ever’s new Promote Products tool, you can easily pin all of your product listings from multiple stores, including eBay and Etsy, with more stores on the way. You can filter the listings that are added by category, price range, and keywords, and add them in a particular sort order, such as by price or by creation date. If too many listings are coming in, just press the Stop button. You can combine listings from different stores and from different types of stores, all in one list. You also can select individual listings and edit their target board and/or tweak their descriptions. You can also click on their links to see the actual listing of the item. Then you can set a delay. 15 seconds is the recommended delay so you don’t get banned for pinning too fast, although you can pin with zero seconds delay if your are pinning less than 300 pins per hour per IP address (this pin rate may change in the future based on what Pinterest allows). One final setting, you can also check the Pin In Reverse Order checkbox, which will pin from the bottom of your list to the top, so that the pins on Pinterest will wind up the the same order as your list shows. Once everything looks right, press the Promote Listings button on the lower right, to begin pinning your listings. You can stop the listings at any time. If in the remote chance an error occurs while pinning, a will appear in the status column of that listing, and pinning will proceed to the next pin in the list. You can click on the listing in question, to see more details about the error. You can get a free trial of Pin4Ever’s backups and several Pinterest tools for one week. After the free trial, you will automatically continue with Pin4Ever’s Free Plan, which gives you access to a number of helpful free tools, including Pin Anything, Bulk Editing (Move, Copy, Delete, and Rearrange), and now the new Pin Ratings tool. At Pin4Ever, we’re always trying to improve the pinning experience. Please let us know if you have any feedback about which of our tools you like best, or suggestions for new tools you’d like to see. Would you like to rate your pins with star rankings? 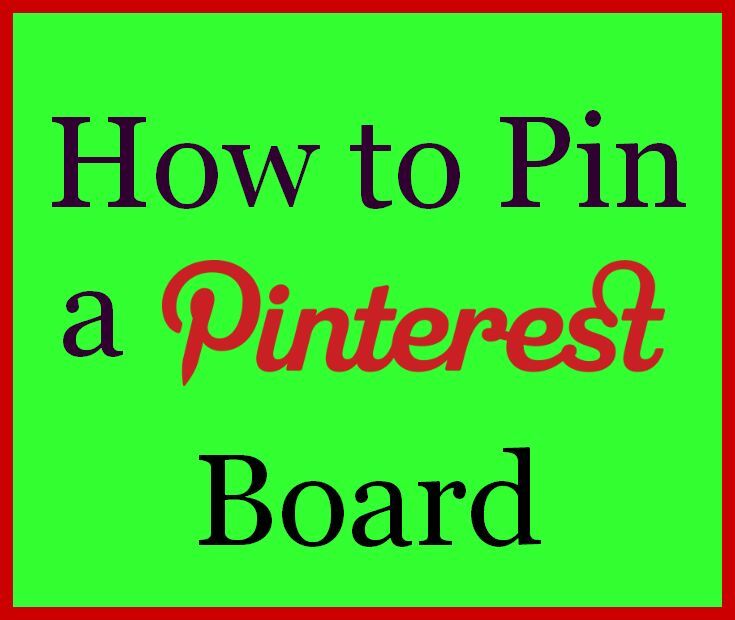 After you’re been on Pinterest for a while, you tend to accumulate thousands of pins on dozens of boards. It’s helpful to be able to visually bookmark recipe ideas, crafts, clothing, lifehacks, and gifts you want to buy. But once you have so many pins, it gets more and more difficult to find the ones you really wanted to try, or the ones you tried and really liked. With Pin4Ever’s free, new Pin Rating tool, you can mark the pins you like least with a half star, and mark your favorites with five stars. The pins in between can get full and half stars, to give you ten different rating levels. Besides ranking your favorites with more or fewer stars, you can also use the stars to organize your pins. For example, one star could mark crafts; one and half stars, things to buy; two stars, recipes; two and a half stars, Pinterest tips; etc. Your star ratings will appear right on your boards when you’re on the Pinterest website, and the stars are copied over when you run a Pin4Ever backup. While viewing your backup, you can see the pins in order by ranking, from highest rated to lowest. If you would rather not see the ratings, you can switch them off, and then on again when you want to see them. Yesterday, thousands – perhaps millions – of people around the globe experienced problems with Pinterest. Today, many people are still reporting that Pinterest is down for them on Twitter. When the Pinterest website has its glitches, it’s nice to know that a Pin4Ever backup saved on your own computer has a copy of all the information you need. Among the numerous complaints about losing Pinterest access yesterday, one pinner said she needed a recipe for her child’s birthday party, and couldn’t make it because she couldn’t get to her pin. If she had had a Pin4Ever backup, she could have easily searched for the recipe, and then clicked the link in it to go to the original website that was the source of the pin. Many other pinners are reporting that their Pinterest Followers and Following are disappearing. With a Pin4Ever backup, in addition to your pins, likes and boards, you also have a complete record of your Followers and Following on the date you run the backup, in case you ever need it. 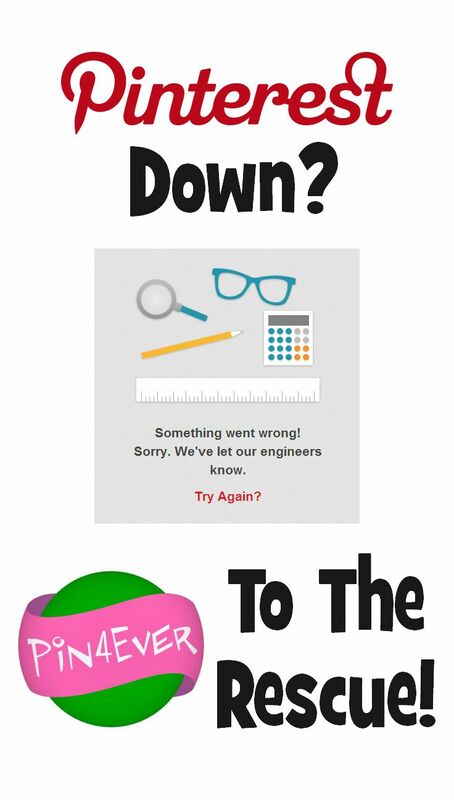 Of course, this isn’t the first time Pinterest has had down time. Even The Huffington Post has covered similar Pinterest website glitches in the past. Why take the risk that you may lose access to your pins and other information, either temporarily or permanently? Protect your account with a Pin4Ever backup today! Pinterest pins with broken or dead links are incredibly annoying. When you are browsing all of the beautiful, helpful pins on Pinterest, there is nothing worse than clicking to go to the website for more information — and it just isn’t there. Perhaps the blog has moved to a new website, or the post has been renamed, but the content has certainly gone missing for some reason. 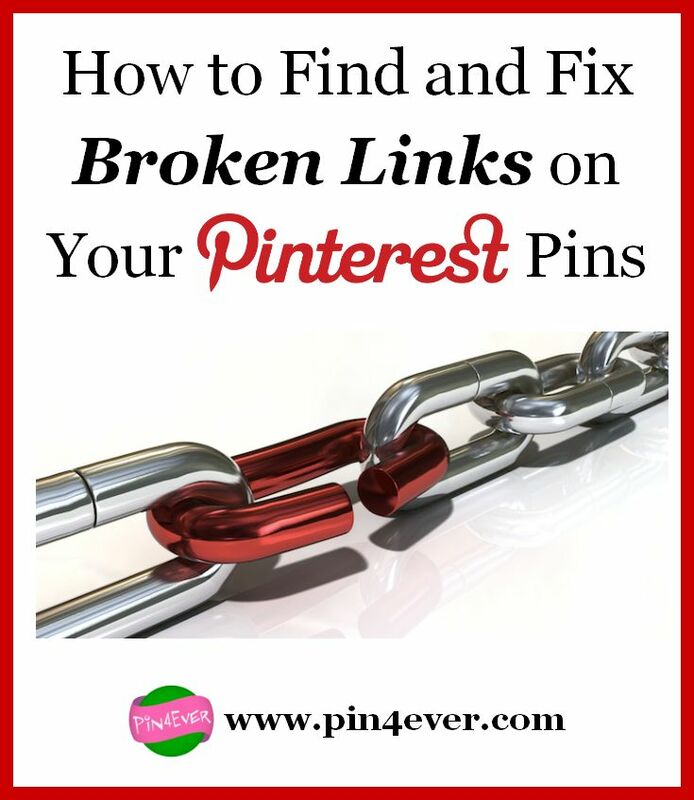 Expert Pinterest marketers tell us that having pins with broken links will make a pinner look sloppy and unprofessional. For your own personal use, if you someday decide to do that craft, or make that recipe, or buy that product that you pinned, you’ll be disappointed to click through and see nothing but an error message. Causing our followers this kind of frustration is not what any blogger, business owner or individual wants to do! And if it’s your own website’s pins that have broken links, you could be missing out on a lot of traffic! Though Pinterest may occasionally correct your link if it’s an image and website they are familiar with, there are still a lot of broken links out there on millions of boards. And in trying to help, Pinterest may guess wrong and add another incorrect link, as they acknowledge on their Help page. I’m actually quite careful about what I pin, and almost always click through the link to verify it before pinning. But when I used Pin4Ever to check for broken links on my personal boards, I found several dozen! It shows that even careful pinners are sure to have some bad links on their pins. In order to clear your account of those annoying pins with broken links, your first step should be to identify them with Pin4Ever’s new Find Broken Links tool. When you run a backup, after selecting your boards, simply check the box at the very bottom of the pop-up which says, “Check for Broken Links.” After running the backup, click the Broken Links icon on the Pin4Ever toolbar. A page will come up, displaying the pins our program has located which have bad links. While Pin4Ever can’t find every inaccurate link, it can help you find many of them. For example, if someone pinned the main page of a blog instead of the exact article, this won’t show up as a broken link, since there is actually content there. Many times, though, the link problem will be caused by a 404 “Page not found” error, or because the content has been transferred to a different website, and Pin4Ever will show you these pins. If you want to verify that the link is no good, and see the type of error, you can click “View Original Source” under the pin image on your Broken Links page. Once you have identified a broken link through Pin4Ever, you will want to correct the broken link by finding the true source. First, click the link under the image which says “View on Pinterest.” The pin on the Pinterest website will open in a new tab. At this point, I like to resize my window to about half the width of the screen, so it is on the left side. Then I click the Firefox icon to open a new window, which will also be half-size, and then drag this new window to sit side-by-side to the right of the original window. In the new window, I go to Google Images. Then, I left click the original pin image and, holding down the left mouse button, I drag the image to the new window, and drop it in Google Image’s search box. Google Image will then list a bunch of websites which have that image. In looking for the original, the best source will have the largest sized image, will usually be an original website (rather than Pinterest or Facebook), and will have the earliest date. When you see a promising source, click through to the website and see if it seems original, or if it gives a link to the actual source. When you have found the original source, copy the link, and then click Edit on your Pinterest pin, and add that link for the source of the pin. If you would rather see similar instructions for finding accurate links with some pictures to help, please see Cleaning Up Your Pinterest Boards. If you haven’t tried Pin4Ever’s backups and other helpful Pinterest tools yet, you can take advantage of our one week free trial by clicking the green Install now button on our website’s main page. After your free trial, you can buy any plan (Basic plans start at $4.99/month, Premium plan is $49.99/year) to continue running backups, which now includes our helpful “Find Broken Links” feature. When I am browsing Pinterest, I sometimes see a fantastic board that I want to come back to later because I don’t have time to get through all of the pins. I also keep a board with links to my favorite websites, and sometimes I want to include a whole Pinterest board as a resource on a certain topic, too. Of course, the Pin It button does not work on the Pinterest website. And even following a board is not going to ensure that you see all of the pins now, since Pinterest released their new Smart Feed. You’ll see some of the pins with Smart Feed, but pinning a board can remind you to go back to check for new pins that didn’t make it into your feed. 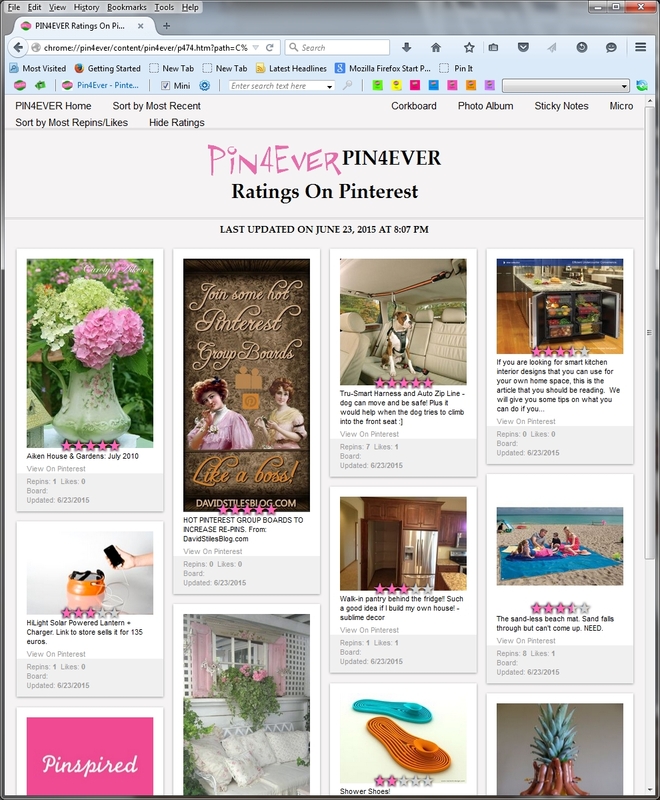 Pin4Ever’s Pin Anything button is a free tool that anyone can use to pin a Pinterest board. In fact, Pin Anything can be used on other websites like Facebook, which are otherwise difficult to pin from. It can even be used to pin articles which have only text and no image at all; just take a screenshot of the headline. 1. Download the Pin4Ever program by clicking the green “Install Now” button on www.pin4ever.com. 3. Left click with your mouse at one corner of the image you want to create, and then drag away from that point until the rectangle is the size you want. It’s that simple to pin a Pinterest board, a Facebook post, or an article that lacks images. With this free tool offered by Pin4Ever, you really can “Pin Anything”! 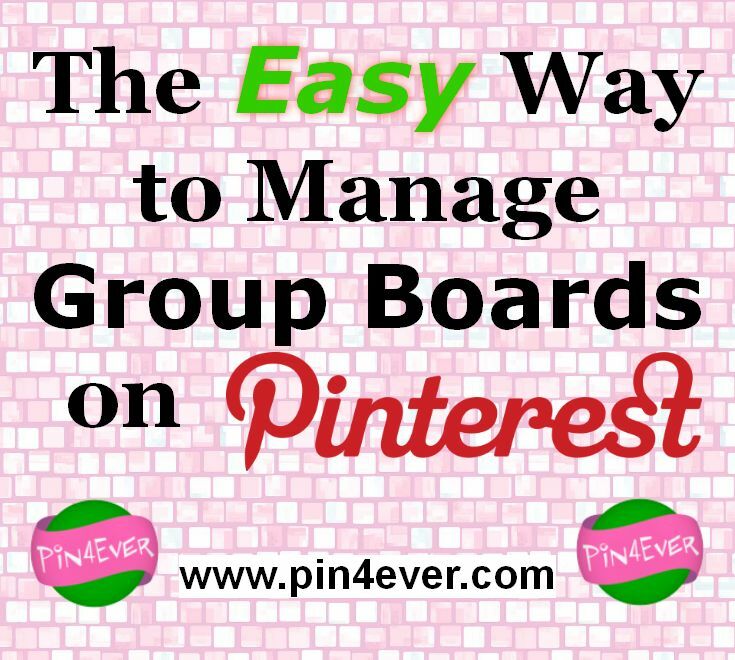 Do you host a group board on your Pinterest account? If so, you have probably had problems at some point with fake pinners who gain access and then post spam or other unwanted images on your board. 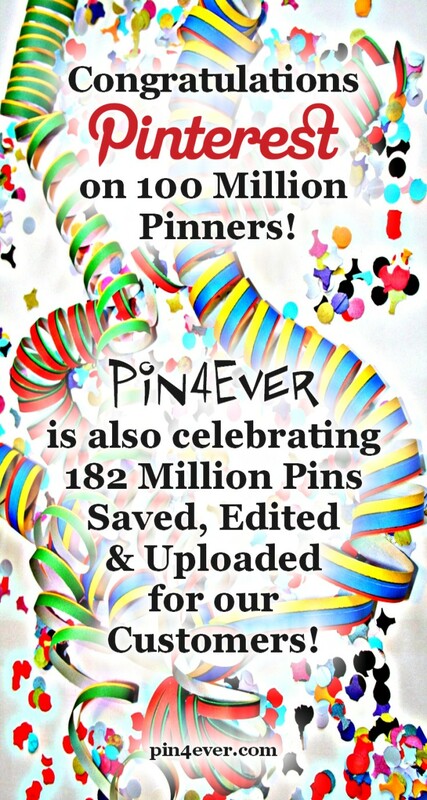 Or perhaps you have a lot of active pinners, and your board has so many pins, you are close to Pinterest’s limit. For these reasons and more, group board owners can save themselves a lot of time and trouble by deleting multiple pins in a single step. Pin4Ever’s Bulk Editing tools have been offered free to the pinning public for over a year now, since August 2013. These tools let you move, copy, delete, and even rearrange multiple pins in one step right on your Pinterest board. (Which is so much easier than doing them one by one!) But, up until recently, you could only remove an image that you had pinned yourself. To use Pin4Ever’s free Bulk Delete function, simply install our program from www.pin4ever.com . 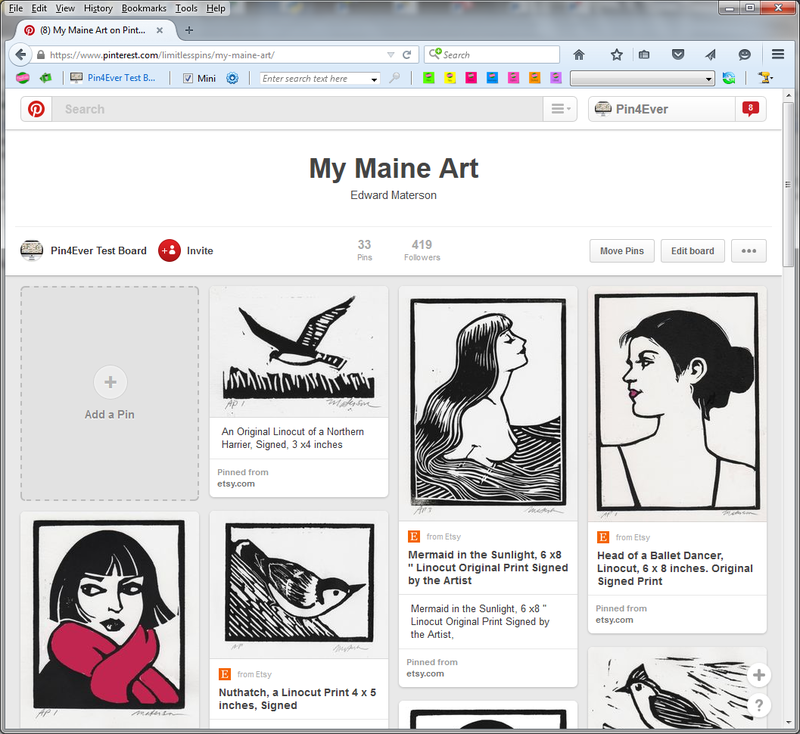 Then, open a Firefox window, go to the Pinterest website, and sign in to your Pinterest account. Go to your boards page, and click the group board that you want to delete pins from. While viewing the board, click the dark pink Delete button on the Pin4Ever toolbar, and then click each pin you want to remove, scrolling down if you like. After selecting the pins to delete, click the Execute button on the Pin4Ever toolbar, and wait for it to process the pins. The following instructions will take you through the Pin4Ever toolbar, from left to right, and then from top to bottom in each section, to learn what each button/link and feature does to help you manage your Pinterest account and optimize your pinning experience. After installing Pin4Ever, when you open a Firefox browser window, you will see the Pin4Ever toolbar at the top of the screen. Each button is labeled with its function, and hovering over the button with your mouse will show more details. To use most of the features, you will need to be logged in to your Pinterest account; please see the directions in section I.C. below. A. Run backup: Click this button to save a copy of your boards, pins, and likes on your computer. A pop-up box will appear, and you can check or uncheck boxes to back up different boards, Likes, and even your Followers and Following with paid accounts. B. Show Backup: Click this button to best view your backed up boards, pins, and likes. On your backup, you will see some new categories, and choices for displaying your pins. C. Account: [Pinterest Username]: To use most of the features, you will need to be logged in to your Pinterest account on the Pinterest website. If you are not logged in, you can click the link on the far lower left of your toolbar, labeled “Account,” which shows your Pinterest username. 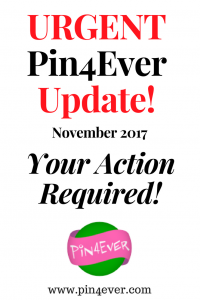 Log in to your Pinterest account, and then you are ready to use Pin4Ever. If you have multiple accounts, Pin4Ever will act on the one that you are logged into on the Pinterest website. You can select the default account to view offline on the Settings page. See section B. below. A. Mini Toolbar: After you are more familiar with the buttons – or if you aren’t actively using them – you can minimize the toolbar to have more screen space by checking the box next to “Mini Toolbar” in the Settings section. 1. Account: View or upgrade my plan. Click this link to see your current type of plan with Pin4Ever, and the time remaining, or to purchase another plan. a. Use small version of Pin4Ever toolbar. Check this box to set your default preference of either the minimized (small) or maximized (large) version of the toolbar and buttons. b. Show deleted Pinterest pins along with current Pinterest pins. Check this box to display deleted pins on their original boards, as well as on the Deleted Pins page. 3. Account to use when offline. If you have multiple Pinterest accounts, you can choose which one you want to view while offline with this setting. 4. Use default backup folder (Desktop/Pin4Ever-Data) OR Specify Folder. You can change the location to store your backup with this setting, by clicking the circle next to your choice. 5. Prompt Duration; Page Timeout; Page Retries; Scroll to Bottom Timeout. These settings are set to levels we believe are most user-friendly. However, depending on your internet connection, you may want to add more or less time for these. 6. Board Settings. You can choose which boards to display in your Pin4Ever backup by checking or unchecking these boxes. 7. Search pin defaults. With these default search settings, you can choose to search descriptions, url links, and/or match or words in your search terms. The default, most user-friendly settings is for the first two boxes to be checked (search descriptions and url links). 8. Find Duplicate Pins. With these settings, you can search for duplicates that have the same descriptions, url links, image urls, and/or pin IDs. The user-friendly default setting is for the first two (descriptions and url links) to be checked. 9. Log Settings. Here, you can choose how long you want to store your log files which keep a record of your activities using Pin4Ever, including any problems you may experience. If you have an issue, you will usually see a prompt appear that asks if you want to send your log in to Pin4Ever; this helps us identify and solve problems. If you have difficulty with the program, and don’t see a prompt, you can always click the link in this section to “Send current log file to Pin4Ever.” Please also send us an email to say you sent your log file and describe the issue you experienced, so we can solve any problems promptly. C. Plan/Upgrade: This link shows your current plan with Pin4Ever, and also options and prices if you are interested in buying a plan. A. Move, Copy, Delete, Rearrange: These Bulk Editing buttons work directly on your Pinterest account to help organize your boards, by acting on multiple pins in a single step. 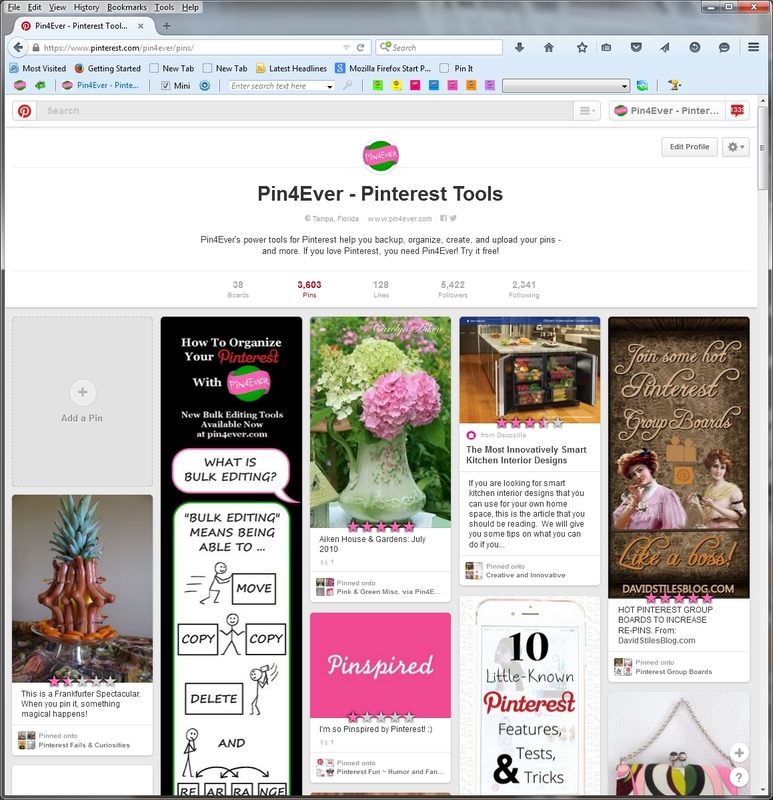 To use them, go to your account by clicking your Pinterest username on the lower left of the Pin4Ever toolbar. Click the board you want to edit, click the function (move, copy, or delete), click the pins you want to edit, choose a board from the drop-down box for move and copy, and click Execute. For Rearrange, click the function, click the pins in the order you want them to appear, and click Execute. B. Discard and Upload: These Bulk Editing buttons work on images in your Pin4Ever backup. The process is the same as for section A. above, but you can use Discard and Upload on the deleted or duplicate pins in your backup, to remove them permanently from your backup (Discard), or to restore a deleted image to your Pinterest board (Upload). B. Find Deleted Pins: Deleted pins will show up when you run a new backup, if pins are now missing from your Pinterest account but appeared in a previous backup. If you deleted a Pinterest pin on purpose, and also want it removed from your backup, click the orange Discard button, click the pin(s), and click Execute. If you accidentally deleted a pin, click the purple Upload button, click the pin, choose a destination board from the dropdown box, and click Execute to repin it. C. Pin Anything: Click this button when you are browsing the web and want to pin something, but the Pin It button won’t work. 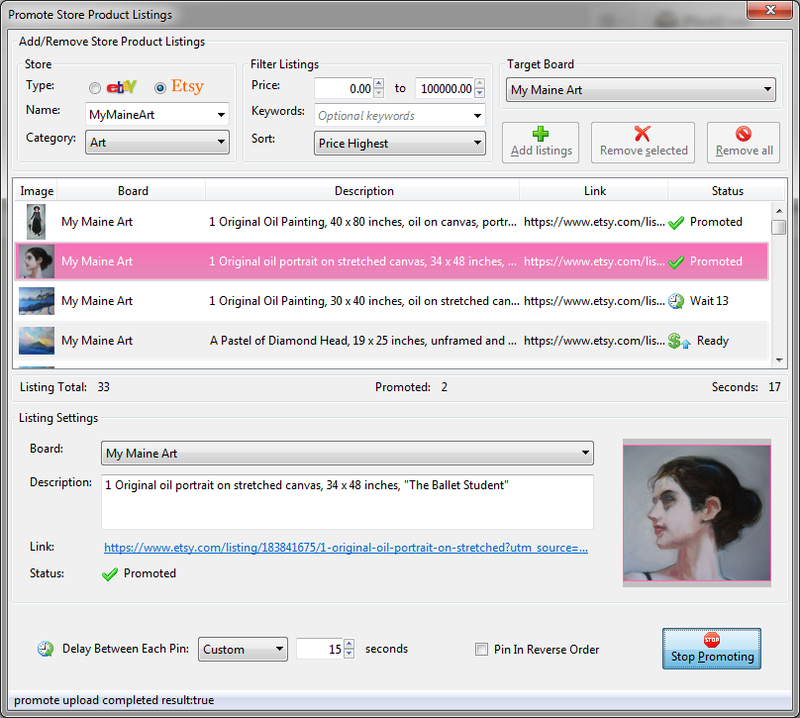 Pin Anything lets you take a custom-sized screenshot and add a description. Use it to pin text like an article headline, an image of a Pinterest board you want to remember, and more. D. Scroll to Bottom: Click this button to automatically go to the bottom of a slow-loading webpage, instead of waiting for each section to load. This is helpful for getting through big Pinterest boards, the Pinterest Home Feed, your Pin4Ever backup, and other websites when you want to see the content at the bottom. E. Create a Pin: This button accesses our pin design tools. You can add and resize custom background and foreground images from your computer or the web. Then add colored text, different fonts and sizes, borders, shadows, and more. F. Bulk Image Upload: This button lets you pin a batch of multiple images from your computer or from websites such as Facebook, Instagram, and even Pinterest. First, set the Default Board, Description, and Link at the top of the box — THEN click to add pins. If you add pins first, it will use the previous defaults. You can change the descriptions and links of individual pins in the bottom boxes after you add them, but if you want to change them in bulk you need to use the top box. H. Clean Home Feed: Clicking this button while viewing your Pinterest Home Feed will remove any Related pins, and show you just the pins from boards and pinners you follow. I. Restore from Backup This button brings up the console to allow you to batch repin multiple pins from your backed up boards, if a board or your whole Pinterest account has been deleted. It will automatically recreate your missing boards, and restore the pins to them. Thanks for your interest in Pin4Ever. Our goal is to provide useful tools to help you enjoy your Pinterest pins and boards even more than before. Please let us know if you have any suggestions, comments, or additional questions. 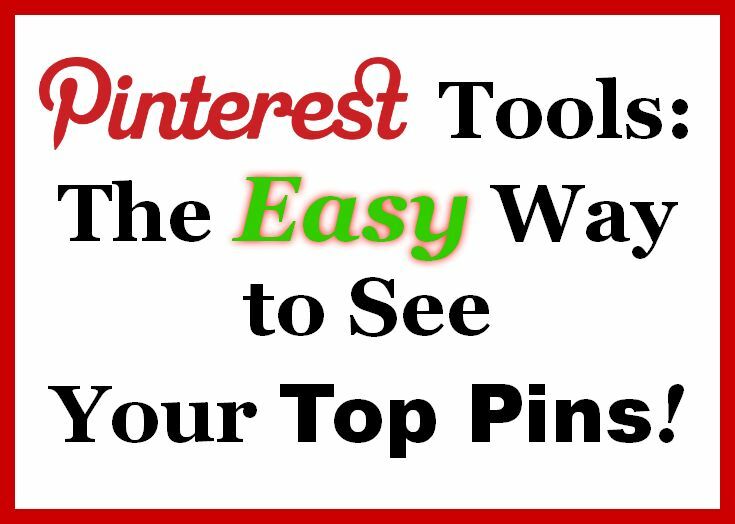 The Easy, Fast, Free Way to See Your Most Popular Pins! If you have a blog or website, I’m sure you’re aware of how much traffic Pinterest can generate for you. Even if you have a personal account and no financial incentive, it’s flattering to gain followers and earn lots of repins and likes. But do you know exactly which of your pins are your followers’ favorites? Though there are other methods, Pin4Ever’s backups have a quick, easy and free way to see at a glance the most repinned and liked content on your boards. You can get information on your Most Repinned and Most Clicked pins from Pinterest’s own Analytics, if you have a business account. However, it would take frequent downloads of the data and number crunching to figure out your most popular pins over a span of time. Also, the Pinterest Analytics tools were added long after many pinners became active, and so they can’t tell you anything about pins made before March 12, 2013. Another option is to keep track of Google Analytics’ reports of which pins are bringing visitors to your site. Again, to do this, you will need to collect data over time, and then use a program or manually combine and sort the data. And this information covers just the clicks, rather than your actual repins and likes on Pinterest. Finally, you can choose to use a paid Pinterest analytics service to collect the data and analyze it for you. There are a number of them out there. But, there’s another alternative! Instead of investing all that time, effort and/or money into gathering these useful facts about your pins, you can try a free Pin4Ever backup if you haven’t yet. As soon as you run a Pin4Ever backup for the first time, you will have access to some helpful tools for refining your Pinterest strategy, and evaluating your pinning successes and failures. When you click “Show Backup” on the Pin4Ever toolbar, the first category board you see will be your Top Pins! All of the images from your Pinterest boards are here, and the ones that have gotten the most repins and likes will be at the top of the board. Each pin in your backup will display the number of repins and likes, your description, a link to its location on Pinterest, and a link to the original website source. From your main backup page, when you click on an individual category board, there is a link on the top left that lets you choose whether to sort by “most recent” or “most popular.” With this, you can see the most popular pins on just one of your boards, if you like. In addition to displaying your Top Pins, Pin4Ever has many other helpful tools that make managing a Pinterest account easier and more fun. Please visit our homepage to read more about Pin4Ever’s features, and get a one week free trial, which includes backups and seeing your Top Pins. When you view your most popular pins in your backup, you will get valuable information about what types of things you should be pinning more, to keep your followers interested and/or to further increase traffic to your blog or website. You can even reuse these star pins by creating something like Made from Pinterest’s “Pinned over 1,000 times!” board, or by writing a blog post about your most successful pins! Will you use Pin4Ever’s Top Pins to hone your pinning strategy for business or personal use? Are there other tools we offer that help you manage your Pinterest account or market your business? Please let us know your thoughts in the comments!